Oh, this is fun! Break out the Xacto Knife and get to work building all kinds of unique and fun things for your kids to play with and on. 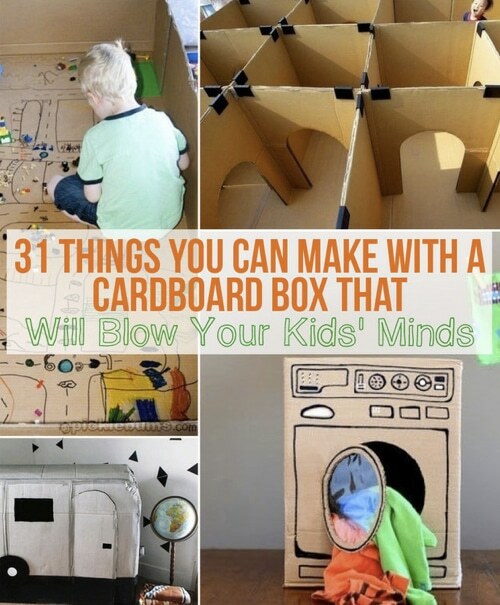 From cardboard castles and mazes to mini appliances, there’s no end to the crazy stuff you can make. Plans for planes, trains and automobiles are included and you’ll even see complete instructions on how to build a mini city.